Can Stifle block re-enter the battlefield blink effects? Gisa and Nantuko Husk - Can something halt this interaction? As much as I like Repudiate / Replicate , I don’t see the purpose of it in the side. 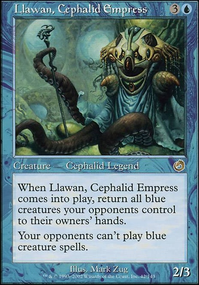 In Legacy, you run Stifle in the mainboard, or not at all. 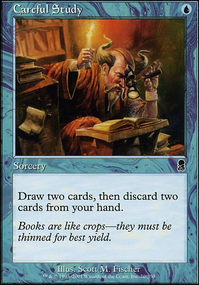 And because you aren’t splashing green, I don’t see what matchups you’re boarding in a two-mana Stifle for. Another great anti-artifact card in blue is Hurkyl's Recall . It will absolutely ruin an Affinity player’s day. Rambolicious_0 it's because what Twinflame is doing is creating a delayed triggered ability. When the condition is met ("at the beginning of the next end step"), the ability triggers and goes on the stack, and once it has triggered at the appropriate time, it's gone (so it won't trigger again if it's managed to trigger already). What you're doing with Sundial of the Infinite is clearing that trigger from the stack without letting it resolve. You could do the same with a Stifle . The important thing is to actually let it trigger and go on the stack. If you activate Sundial before the exile triggers, say before the beginning of the next end step, then the delayed triggered ability is still waiting for its condition to arrive and will just trigger on the next player's end step. But if you let it trigger, then activate the Sundial and clear it from the stack, it's not hanging around to trigger again. 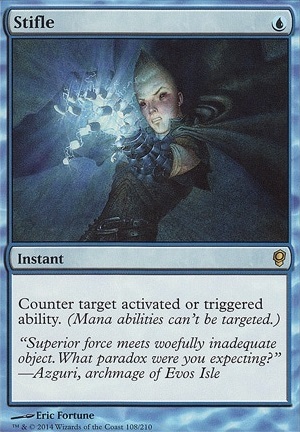 Yes, Nekusar, the Mindrazer 's first ability is indeed a trigger. However the draw step begins with the active player drawing a card, before anything is put on the stack and before anyone gains priority. This card draw will still trigger Nekusar's second ability. Once that first card is drawn, Nekusar's first ability will trigger for the active player, and can be responded to, but the trigger from the first card draw will still end up on the stack and deal 1 damage unless you Stifle it in some way. But yes, you can respond to the first ability by removing Nekusar and avoid additional triggers. Ryanh12 on Infinite Draw Combo? 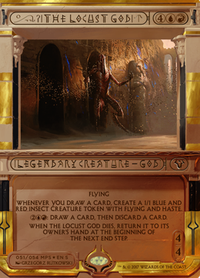 With the cards The Locust God and Kindred Discovery with locust as the chosen type, if one of my tokens enters the battlefield, do I technically draw my entire deck? Could I counter this ability with a card like Stifle ? imoutogetyou on [Combo Help] Boros Glory TURNS! 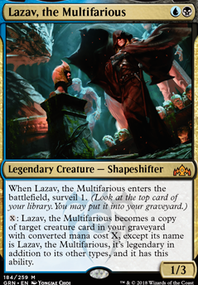 I actually had a similar idea in mardu but sadly Stunning Reversal isn't modern legal. 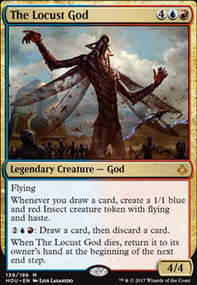 The idea was to win through Near-Death Experience , on the other hand, jeskai lets you pickup things like Stifle , Disallow , and Nimble Obstructionist . 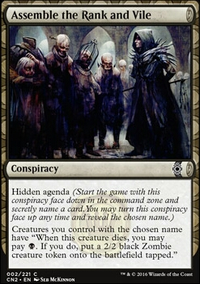 If you really want to play a taking turns deck in white there is always Silence to get you through the early game.